1. Writing assignments for university and high school are basically the same. In high school, your papers likely reported the ideas of others using a few sources, mostly from Google & Wikipedia. In university you are expected to ask more meaningful questions and to evaluate a topic from a variety of perspectives. This means that you need to do more extensive research and your task is to come up with your own thoughts and opinions on the information you find. Starting written assignments early is key to success, as papers are also often much longer in university than they were in high school. If you need some help on where to start visit one of these helpful toolkits. 2. Which part of the writing process do you struggle with the most? Writing a paper for class can be a very time consuming process so make sure to start early and plan well. It is important that you understand the guidelines for your assignment, so check your syllabus or speak with your professor if you have any questions. It is specifically important to know which form of citations you will need to use and to get research help if you need it. Researching is key to getting an overview of your topic and to help you develop a new perspective. When taking notes on your research, try organizing your ideas into categories and be sure to note where any information is taken from to avoid accidentally plagiarizing. Creating an essay outline will also help you brainstorm ideas and to ensure that your ideas and arguments are logical. When writing a draft it’s important to concentrate on getting your ideas down on the paper than being grammatically correct, there will many opportunities to proofread at the end! Many people find it helpful to start writing one of their arguments first. There is nothing that says a paper needs to be written in chronological order, so leaving your introduction and conclusion to the end is always an option. Remember that writing is more about creating new ideas and perspectives rather than focusing totally on your sources. Sources aren’t your argument, they help you built it. Most writing instructors suggest 80% of your paper should be original ideas/ analysis and the source material should be about 20% . Vary how you integrate your sources. Don't use direct quotes all the time, mix it up by paraphrasing or giving a summary sometimes. This will prevent your writing from getting monotonous. State one point at a time and elaborate on what you mean using examples and analogies, but remember to be concise. If you need help, visit the Writing Centre. While you are revising your writing, make sure to look at your assignment description and ensure that you have met all of the criteria, including citation format. It is also the time to make sure that your thinking is logical and easy to follow. Is everything organized well, or should you move ideas to different paragraphs or remove them altogether? In this stage concentrate on fixing the writing, not the spelling and grammar. Often reading a paper out loud will reveal areas which are worded strangely or are repetitive either in ideas, wording, or structure. Make sure to leave ample time to edit and review, and often taking a few days off between readings will allow you to see the essay with fresh eyes and will allow you to catch things that you may have missed previously. Editing on a hard copy is also often much easier, so old school and actually print off a copy of your paper and mark it up using a pen or pencil. If you need help, visit the Writing Centre. If proofreading isn’t your strong suit, have a friend or family member read over your assignment as they might catch things that you miss. But ensure you give them lots of time and notice. It’s not fair to expect someone to proofread something for you that is due in an hour. It is also best not to rely too heavily on your computer’s spelling and grammar checker as they are not fool proof. Printing out a hard copy of your assignment and marking it up with a pen or pencil is the best way to proofread. Also remember that academic papers shouldn't be written in the first person, so get rid of any use of 'I'. If you need more help, visit the Writing Centre. Academic writing is a skill that takes time to develop. If it is something you struggle with, head to the Writing Centre early in the semester to ensure that you get all the help you need. A thesis should be both specific and debatable. It is good to think about the question you want your paper to answer and then turn this into a thesis statement. As it is the crux of your paper, be sure to spend a lot of time thinking about, and developing your thesis. Though it is good to consider what question your paper is trying to answer when developing your thesis, the thesis itself should be written as a statement. It should also be both specific and debatable as it is your job to prove why it is true through references and discussion. 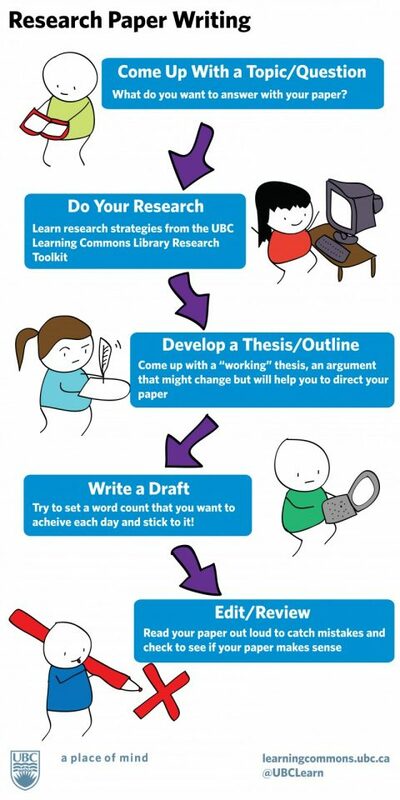 As it is the crux of your paper, be sure to spend a lot of time thinking about, and developing your thesis. Completing an outline was helpful in the planning and organization of writing the essay. just not enough to fulfill the requirements of tgeir households. Tell us what you think of the Writing Toolkit. Please select a response.